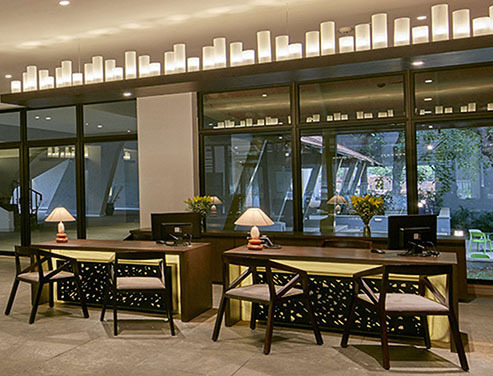 Brigade entered the hospitality industry with Brigade Homestead Serviced Residences—and, in the process, pioneered the concept of professionally managed serviced residences in Bangalore. 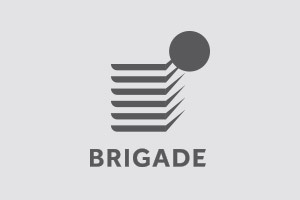 Brigade Hospitality Services Limited (BHSL) was formed as a subsidiary company in 2004, to manage our rapidly expanding range of hospitality projects, currently in different stages of conceptualisation and creation. These included a growing number of serviced residence facilities, clubs, hotels, a resort and spa, and a convention centre. We have travelled to different parts of the world to study landmark hospitality projects first hand. We have associations and partnerships with leading national and international design, hotel, resort and hospital chains. In order to discover and tap fresh talent, we have conducted architectural competitions for three of our projects. The winning design for The Woodrose club was selected from amongst 76 entries from all over India. And the resulting club went on to win awards for both design and interiors. The design for the MLR Convention Centre was the winning entry from a similar competition we conducted. It won recognition for its structural design. Incidentally, this was supplemented by research into the design and workings of a range of convention facilities—including interviews with kitchen and catering staff. The design for the resort is the winning entry from an international architecture competition we conducted. Entries came in from places as far flung as Indonesia, Singapore, USA and South Africa. Homestead is one of Bangalore's finest serviced residence facilities. 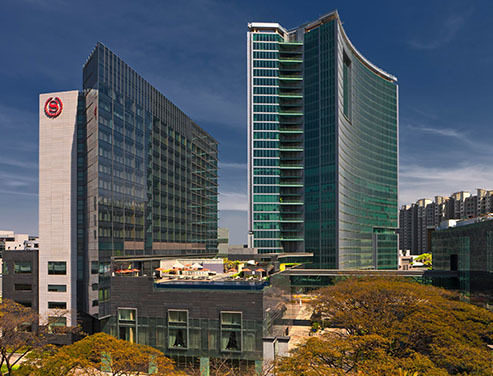 Well connected to the city's main business centres, our serviced residences are set in prime locations across Bangalore. Our first Serviced Residence facility, Homestead 1 began functioning in 2001. It offers a choice of serviced residences, the options being studio residences, 1-bedroom residences or 2-bedroom residences. 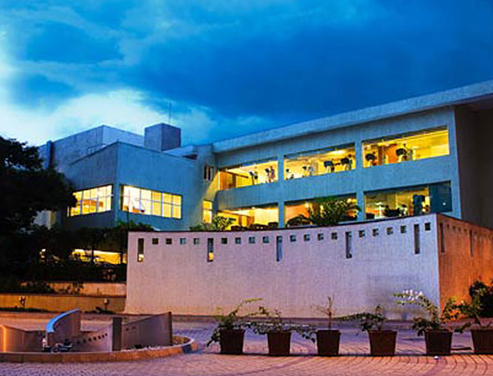 Its occupancy rates—fully booked throughout the year—attest to the excellence of its facilities, services and ambience. Homestead 2 replicates the comfort, ambience and range of services that made its original so successful. 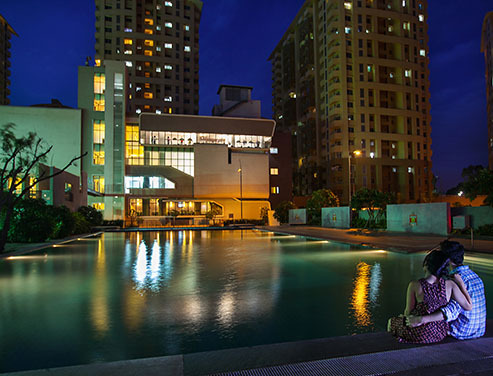 It offers 34 serviced residences with the options of studio residences, 1-bedroom residences or 2-bedroom residences. Located near the famous Ashoka Pillar in Jayanagar, Homestead 2 is close to the many software facilities that have been established in South Bangalore. Run by Accor, the European leader in hotels and tourism, Mercure Homestead Residences has 126 spacious apartments. It is perfectly placed for business and leisure—just 5 km from major business and IT parks and close to the city centre. It is ideal for mid- to long-stays. Specially designed for people who are looking for long-term stays, Homestead 4 has 28 residences that offer first-class, fully furnished, serviced accommodation. Of these, 13 are single apartments with twin beds—ideal for sharing purposes. Café Coffee Day, the well-known coffee brand (with an outlet in Homestead 2), has opened its very first Coffee Lounge in Homestead 4. The Woodrose and Augusta clubs, located respectedly in the Brigade Millennium and Brigade Gardenia enclaves in South Bangalore are operational. Two more luxury clubs—the Galaxy Club and Regent Club—are under construction at the upcoming Brigade Gateway and Brigade Metropolis enclaves in North and East Bangalore respectively. Set within the Brigade Millennium enclave in J.P. Nagar, South Bangalore, The Woodrose is a distinguished and respected club with a resort-like ambience. The Woodrose, extending across 6,132 square metres, is based on the award winning design from an architectural competition organised by Brigade Group for young architectural firms. It combines the graciousness of a classic club with tasteful, contemporary design and décor. 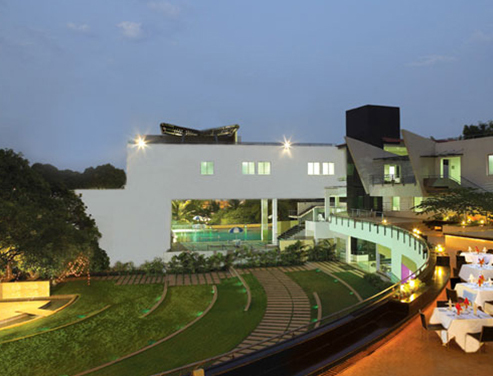 The Augusta Club is located in the Brigade Gardenia enclave in J.P. Nagar, south Bangalore. With about 2,787 square metres of built-up space, the August club offers its members a host of sports and leisure facilities, a cafeteria and party areas. Galaxy Club: The Galaxy Club, with its elegant architecture and aesthetically pleasing décor, creates an ambience designed to relax and refresh the entire family. 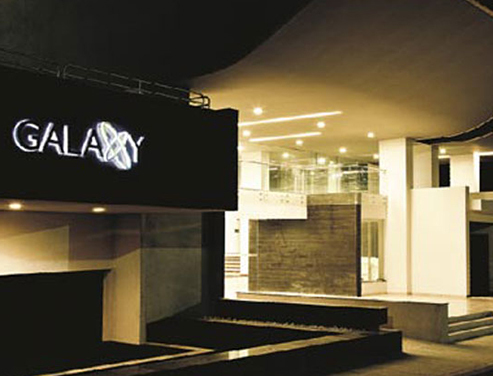 Galaxy Club is located within the Brigade Gateway campus and has a range of superlative sporting and lifestyle facilities. The Galaxy Club offers a range of social, recreational, sports and fitness facilities: swimming pool; indoor games (Badminton, Squash, Snooker & Billiards, Table Tennis); a fully equipped gymnasium with cardio and weights section; steam room; salon; library; restaurant; coffee shop and party room. The Regent Club in Whitefield has state of the art facilities offering multiple entertainment options, and a great setting with multiple party areas. Signature Club Resort, a serene getaway is set within Brigade Orchards—a 130 acre smart township in Devanahalli. Relax and rejuvenate in a ‘Green Carpet Experience’ as you get away from the hustle bustle of the city and immerse in the laps of nature. Come experience the finest services and facilities that are specially crafted for your comfort and leisure. The futuristic building is spread across four stories and is the winning design from an architectural competition specially commissioned for the purpose. 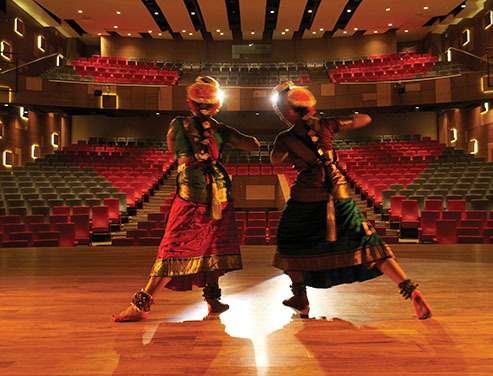 State-of-the-art infrastructure and facilities, combined with streamlined services, ensure every event takes place smoothly and effectively, in the ambience it merits. 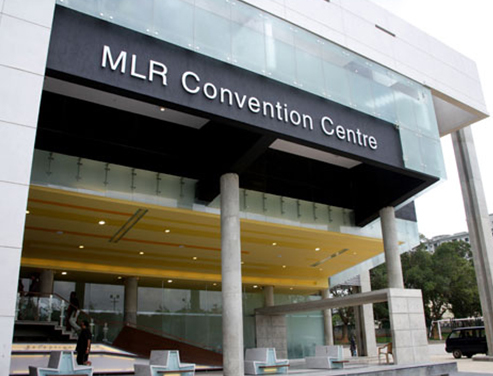 MLR convention centre Whitefield is designed with state of the art facilities – lighting, acoustics, seating, connectivity and staff to handle any kind of event. Perfectly designed and fully equipped for your weddings and receptions, it has world class art-of facilities to make your beautiful wedding unique and grand. Located at the Brigade Gateway enclave in North Bangalore, Sheraton Grand is an exclusive hotel from the internationally renowned Starwood Group. The hotel has 230 world-class rooms with a 5-star experience that is fit for the gods. The property is home to privileged dining choices like ‘Bene’- A specialty Italian restaurant, ‘Persian Terrace’ – A Mediterranean open-air restaurant, and ‘Feast’ – An all-day fine dining restaurant.